cincinnati craft | crafty supermarket! May the Fourth Be With You: Experience Star Wars through art at the Brew House in Walnut Hills on Wednesday, May 4. Drink and Draw: Have a whale of a good time at this monthly art happening at the Contemporary Arts Center on Thursday, May 5. Teen Art Thing: Teens can get crazy with art at the CAC the evening of Friday, May 6. Crafty Supermarket! Our spring show is happening 11 a.m. to 6 p.m. at the Clifton Cultural Arts Center on Saturday, May 7. Spring Pottery Fair: The Clay Alliance takes over Woodburn Avenue in Walnut Hills on Saturday, May 7. Rhinegeist Maker Day: The Makerspace at the downtown library is hosting a day of making at everybody’s favorite OTR brewery on Saturday, May 7. Northside Art in the Park: Artists will take over Hoffner Park all day Saturday, May 7. Incline District Street Fair: Celebrate East Price Hill at this monthly summer event starting Saturday, May 14. Hamilton Flea: This northern suburb is starting an urban market of its own on Saturday, May 14. Sunset Salons: Art and Antiques: Learn about the appraisal process at the Clifton Cultural Arts Center on Wednesday, May 18. The City Flea + Art on Vine: The first Flea of the year corresponds with Art on Vine and Summer Celebration at Washington Park in OTR on Saturday, May 21. Art After Dark: Party at the Cincinnati Art Museum the evening of Friday, May 27. The OFF Market: Shop the day away in Oakley Square on Saturday, May 28. Save the Clifton Cultural Arts Center! 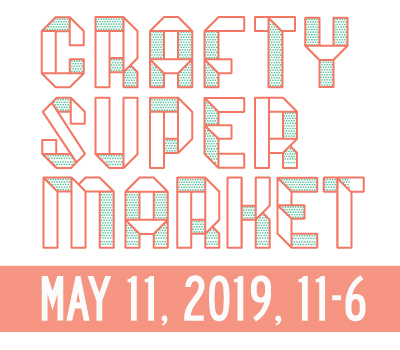 When we started Crafty Supermarket seven years ago here in Cincinnati, we were filling a need that had previously been unmet for a place for modern crafters and avant garde artists to meet and sell their work. Our first event at the Northside Tavern in 2009 drew 1,000 shoppers over the course of six hours, way more than we had expected. During the rush of that first show, Ruth Dickey, then director of the Clifton Cultural Arts Center, approached us about having our next show at the CCAC, a venue we had dreamed of using but had assumed was too expensive. We were wrong! That next spring, we filled the CCAC with 1,600 people and 45 crafters, and we grew with each subsequent event there. Six years later, our spring Crafty Supermarket shows draw more than 2,000 shoppers each year to the CCAC, a venue that we love not only for the incredible staff and volunteers but for the building’s historic charm. Since we only do two shows a year, the CCAC itself has become part of our culture, and we love taking over the entire first floor with makers from all over the Midwest. Now the Clifton Cultural Arts Center needs our help. The Fairview Clifton German Language School across the street is facing overcrowding issues because of increased kindergarten sizes. Cincinnati Public Schools last fall approached the CCAC about renting a number of classrooms to use for overflow space. (The CCAC has a 30-year lease on the building from CPS, and the CCAC is financially responsible for the building’s maintenance and capital improvements. According to the lease, the CCAC may rent space back to the school district at market rates if the space is available.) Negotiations stalled, and the CCAC assumed that CPS had come up with an alternative idea. Then in January the CCAC was notified by the district lawyer that it was likely the district would exercise the clause in their lease that would allow them to cancel the lease with one year’s notice. That would mean that as of spring 2017 the Clifton Cultural Arts Center would no longer have a home. We have a personal stake in the outcome: Our relationship with the CCAC has brought us to many other events there over the years including Wednesdays on the Green, numerous art openings, Sunset Salon sessions and more. These events, along with Crafty Supermarket, are vital to the local Clifton community as well as Cincinnati at large. The CCAC fills another unique need in Cincinnati: Very few venues in the city have more than 5,000 square feet of space for events, and even fewer have the charm of the CCAC. It would be a disservice to the community if the Clifton Cultural Arts Center lost its building, and our spring show would no longer have the room to take place in the Gaslight District, our home for so many years. The CCAC has a number of proposals for how they can happily co-exist with CPS, and the Clifton community passed a resolution its Town Meeting this past Monday that it wants to work towards a solution in which the CCAC continues to grow in its current location while CPS ensures that children in the neighborhood have good educational opportunities. And the Cincinnati City Council this week passed a resolution in favor of preserving the CCAC. But that doesn’t mean we’re out of the woods just yet. If you love the Clifton Cultural Arts Center as much as we do and want to see it exist for many years into the future, please wear a red shirt to the Cincinnati Public Schools Board of Education meeting on Monday! The BOE meeting is at 7 p.m. at the Auditorium at the Education Center at 2651 Burnet Ave. in Corryville. And you can use this image (featuring a linocut by Steam Whistle Letterpress of the historic Clifton School building) as your Facebook profile image — share away! The crafty scene is starting to warm up! Here are all the art and craft things to do in Cincinnati for March, including business events for makers and artisans! Grant Information Session: Learn how you can get $10,000 from People’s Liberty for your project on Wednesday, March 2. Drink and Draw: Get creative with Lindsay Nehls in the Contemporary Arts Center lobby on Thursday, March 3. Craft Menagerie: Buy handmade at Arnold’s for this Bockfest celebration on Saturday, March 5. 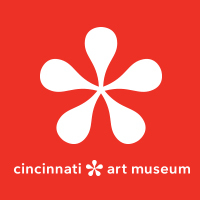 Not Just Makeup: Learn about the expression of body adornments throughout history at the Cincinnati Art Museum on Saturday, March 13. Art On Vine: Shop your heart out at Rhinegeist for this monthly market on Sunday, March 20. Marketing Your Art ($): Learn how to use social media in this class, the first of seven over the following weeks, at the Clifton Cultural Arts Center on Monday, March 21. Sunset Salons: Design: Spend an evening with talented designers from around Cincinnati at the CCAC on Wednesday, March 23. Indigo: Rock Paper Scissors in OTR is transforming into a donation-based art supply space called Indigo, which is opening with its first gallery show on Final Friday, March 25. Maker Meetup and Potluck: Hang out with fellow makers of all stripes at Rhinegeist on Friday, March 25. Show your love for handmade with these crafty things to do in Cincinnati in February! Maker Date Night ($): Make a love tester and chow down on some pizza at the Contemporary Arts Center on Wednesday, Feb. 10. Free Admission Weekend: The Contemporary Arts Center celebrates its first weekend of offering free admission on Saturday, Feb. 13. Midwest Craft Con ($): Makers from all over the Midwest will descend on Columbus for this craft business conference Friday to Sunday, Feb. 19-21. Art on Vine: Get your shopping fix at Rhinegeist in OTR on Sunday, February 21. Visionaries + Voices Art Class: Try your hand at making art at the 21C Museum Hotel on Sunday, Feb. 21. One Night One Craft ($): Explore the art of coffee at the CAC on Wednesday, Feb. 24. Sip ‘n’ Stitch: Hang out at The Hoop and Needle in Northside on Thursday, Feb. 25. Art After Dark: It’s time for romance, revival and rumba at the Cincinnati Art Museum on Friday, Feb. 26. Macy’s Arts Sampler: Lots of free things to do around Cincinnati the weekend of Saturday and Sunday, Feb. 27 and 28! Applications for our spring craft show are now open until March 1! The show is May 7, 2016, at the Clifton Cultural Arts Center in Cincinnati’s beautiful Gaslight District. Things tend to be a little quiet in January, but there are still a few crafty things to do in Cincinnati for folks who want to stay warm! Drink and Draw: Get creative with Lindsay Nehls and some coloring books at the Contemporary Arts Center on Thursday, Jan. 7. Art on Vine: It’s the first art market of 2016 at Rhinegeist in OTR on Sunday, Jan. 17. Visionaries + Voices Art Class: Explore making text visual art at the 21C Museum Hotel on Sunday, Jan. 17. Stitch ‘n’ Sip: Hang out at the Hoop and Needle in Northside on Thursday, Jan. 21. Sunset Salons: Confections: Explore the world of sugary goodies at the Clifton Cultural Arts Center on Wednesday, Jan. 27. Art After Dark: Winter Wilderness: Dress in black and white for this party at the Cincinnati Art Museum on Friday, Jan 29. FYI! We will post in mid-January the application info for our spring craft show, which will be May 7, 2016, at the Clifton Cultural Arts Center in Cincinnati’s beautiful Gaslight District! 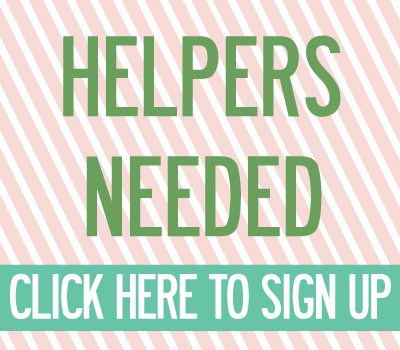 If you’re interested in being a vendor at the show, keep following our website, Facebook or Twitter and sign up for our e-newsletter to be notified of when we post the application! You may also like our handy crafter FAQ here.